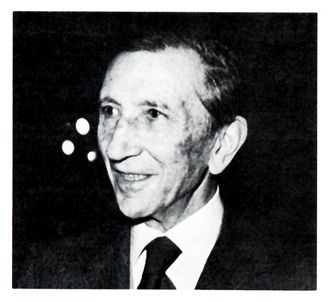 MAURO REGGIANI was born in Nonantola (Italy) in 1897. He died in Milan in 1981. Reggiani studied at the art schools of Modena and Florence. After 1925, living in Milan, he began to move away from the dominant Novecento style in the direction of more modern movements, and by 1928 he was already oriented towards Mondrian, Kandinsky and the European constructivist research. In 1930, on a visit to Paris, he met Arp, Kandinsky, Magnelli and Max Ernst, and in 1934, together with Bogliardi and Virgilio Ghiringhelli, he produced the first manifesto of Italian abstractionism, which was followed by his first programmatic exhibition, at the Milione gallery in Milan. In 1935 the second manifesto was published and in the same year Reggiani started teaching at the Brera Academy of Fine Arts. Reggiani's attitude to painting, as he always declared, accorded with his political and moral beliefs, and the fusion of these three elements made him an exacting teacher. Together with the group associated with the Milione gallery, he defended his belief in concrete art in a coherent manner; this was a position difficult to maintain in those years of isolation of the avant-garde movements, when even public cultural authorities favored the figurative styles. The few works of this period that have survived are canvases with geometrical compositions, the colors of which, however, thick and composite, recall his initial naturalistic and landscape period. From 1935 a series of geometrical "Compositions" revealed what was to be the artist's principal quality: rigorous constructive geometry, an architecture supporting the image obtained exclusively by means of chromatic factors. The masses of color are uniform and dominant rhythmic scheme is the orthogonal or, more rarely, the diagonal. After military service in the Second World War, Reggiani returned to the artistic life of Milan in 1946 and in 1950 was invited to exhibit at the first Biennial of Sao Paulo, Brazil. In 1952 he joined MAC (Concrete Art Movement). His compositions of this period tend to be more spacious, with almost monumental geometrical forms. 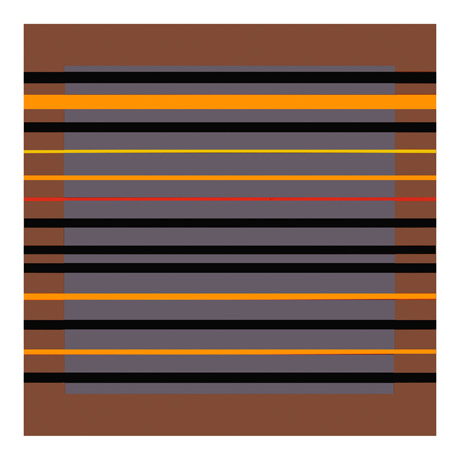 Then came a reduction and simplification of the pictorial structure: the relationships of signs and colors became denser, to the point of constituting striped rhythms, frames, structural lattices obtained by means of color relationships, which sometimes concern problems of optical perception, of vibration of the image. Reggiani's work was shown at various biennials in Venice and Sao Paulo, and he held numerous personal exhibitions. He took part in the "Painting in Post-War Italy 1945-1957" exhibition at Columbia University, New York. In 1971 his work was shown at the "Konstructivismus" exhibition at the Galleria Gmurzynska in Cologne, and the Gallery of Modern Art in Turin organized a retrospective exhibition of his work.